Time to get this t-shirt on because this is a Global Warming Sign T-Shirt. 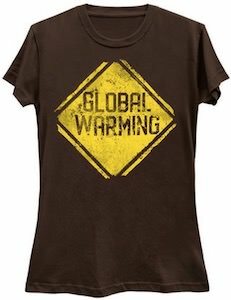 On this t-shirt, you can see a road sign and it is a warning sign that says “Global Warming”. And we all know by now that global warming is real and we should all be focussing a bit more on that as we all can make small changes to help our planet. So wear this t-shirt to make people think about it a little bit more and maybe do something simple like turning the heat down by one degree. You can get this t-shirt in styles for men and women and it comes in many colors and in sizes Small – 6XL. Now there is a Hot Wheels collector t-shirt that tells the people around you that you like these little cars. The Hot Wheels t-shirt is available for men and women and comes in many styles, colors, and sizes. 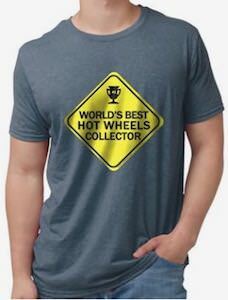 On the shirt you can see a yellow roadsigns that has a trophy on it and below it the text “World’s Best Hot Wheel Collector”. So not only is wearing this t-shirt a sign to everyone that you collect Hot Wheels it also says that you are really good at it. Add this t-shirt to you Hot Wheels collector and maybe it helps you find more rare Hot Wheels models. 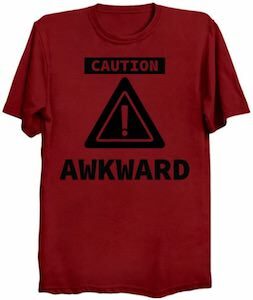 If you are awkward and need a new t-shirt then this caution awkward t-shirt is what you need. The t-shirt is available in styles for men, women, and kids and comes in many sizes and colors. On the shirt you can see a roadsigns with around it the text “Caution Awkward” and that will help if people see you because then at least they will know what is going on with you. A funny t-shirt like this also makes for the perfect present for one of your awkward friends. We know that sharks can jump on people as they may want to eat them and this t-shirt is all about people jumping sharks. On the shirt, you can see a sign that I guess is next to the ocean that shows a person jumping on a shark and around it, you find the text “Do Not Jump The Shark”. The funny shark t-shirt is available in styles for men and women and comes in sizes Small – 6XL an in many fun colors for you to choose from. 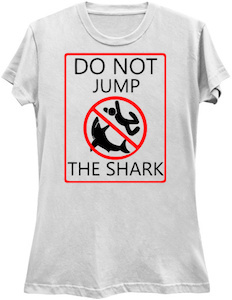 Just wear this t-shirt to the beach or the aquarium to make it clear to people that they can’t jump sharks. Too many times we are stumbling over toys left, right and center, but now you can warn those who come to your house to visit. It is a t-shirt with a friendly message to watch out for your children’s toys. Even if you don’t have children, it is still a great t-shirt. It is a bright yellow warning sign on the front of the t-shirt. It has a large yellow triangle with a LEGO-type building block in the centre. Underneath is a yellow rectangle and written inside is “Caution. Bricks on the Floor”. This black t-shirt is made of pre-shrunk 100% cotton that comes in sizes Small to 2XL. It is a unisex t-shirt so all the ladies and men can enjoy this t-shirt for themselves or for a gift for others. 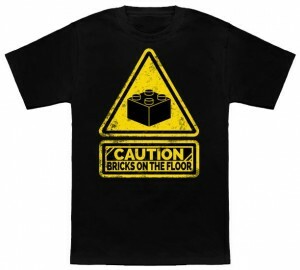 Create a warning with the Caution Watch Your Steps For Bricks T-Shirt. Do people like to follow you? If so then maybe this t-shirt could help. 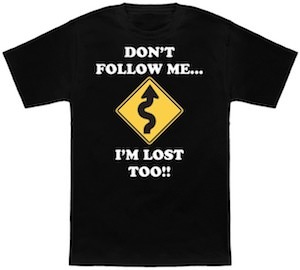 This black t-shirt shows a road sign with a bendy arrow and surrounding the sign it says “Don’t follow me… I’m lost Too!!”. So now everyone knows that you also don’t know where you are going. This black t-shirt is made from 100% cotton and is available in sizes Small – 2XL so that many of us can tell the world that we don’t know what we are doing. And if that is not good enough then you are in luck as oversized shirts with this design and women’s versions are also available. Get ready to tell the world Don’t Follow Me I’m Lost Too T-Shirt. Are you sick of people that can only do one thing really good and that is complain about everything? If you are sick of them then you need this t-shirt to scare them away. On this t-shirt you can see a typical sign for things that are not allowed and this time the word in the middle is “Whining” so around this t-shirt you are not allowed to whine and that would make you life a lot better. And sure this t-shirt comes in all kind of styles for men and women who want to ban whining. 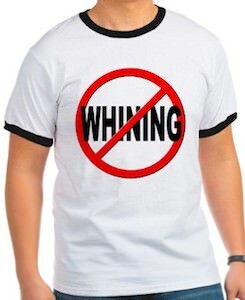 Come and stop the complaining by simply wearing this Anti Whining T-Shirt. Are you a super pinball player? If so then you probably need to warn the people around you. 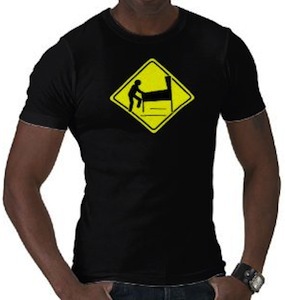 This t-shirt shows a caution sign with a pinball player in it. So it mean “caution pinball wizard” OK maybe pinball machines are not everywhere any more and you start to get a grey hair or two this is the coolest shirt for you. And boys or girls this shirt is there for you in all kind of styles. Come check out this Caution Pinball Wizard T-Shirt. We all know them those people that take a long time to take a picture. And to be perfectly honest I am one of those. This t-shirt is perfect for me and funny to. Nothing on the front but on the back it shows a road sign yellow with the words “Slow Photographer at work” and a little camera. And the picture shows a yellow t-shirt but it comes in 21 different colors. 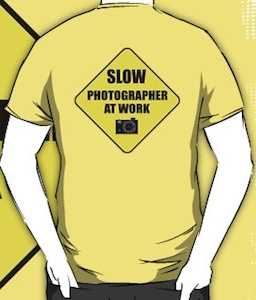 Get your camera ready and wear your own Slow Photographer At Work T-Shirt. Smoking is not only bad for you but it also smells. Now you can stay away from this bad habit by wearing this t-shirt witch has a no smoking sign on it. Nobody can smoke close to you because you have the no smoking sign. And yes you can get this cool no smoking t-shirt in different colors and styles for boys and girl, old and young. 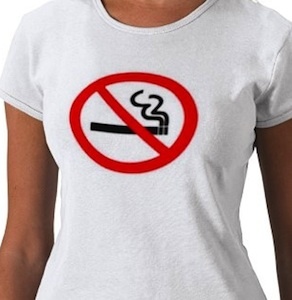 Go check out this No Smoking Sign T-Shirt.